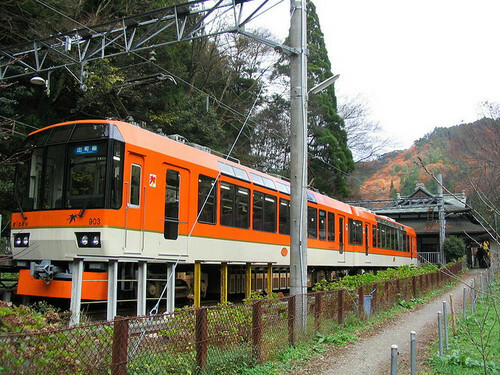 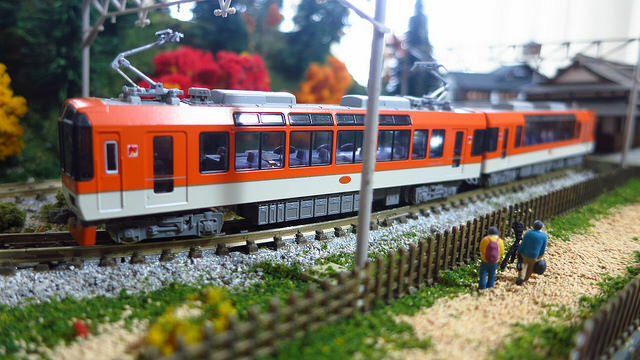 Kurama is the final station on the Eizan Electric Railway Kurama line in Kyoto. The station building is a laser-cut cardboard kit based on the real structure. 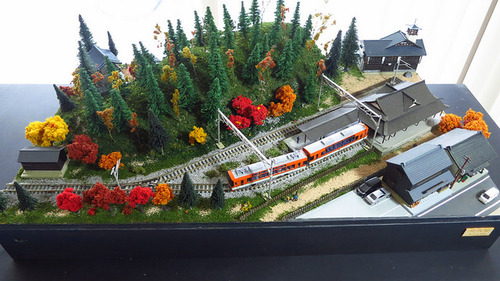 The mountain is a Woodland Scenics ready-made plastic mountain cut in half, with trees added. 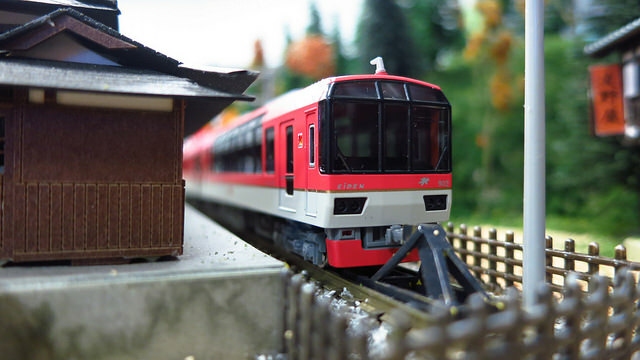 Except for the interface at the end, Tomix track was used on this module, mainly because I had a supply of it in my spare track box.